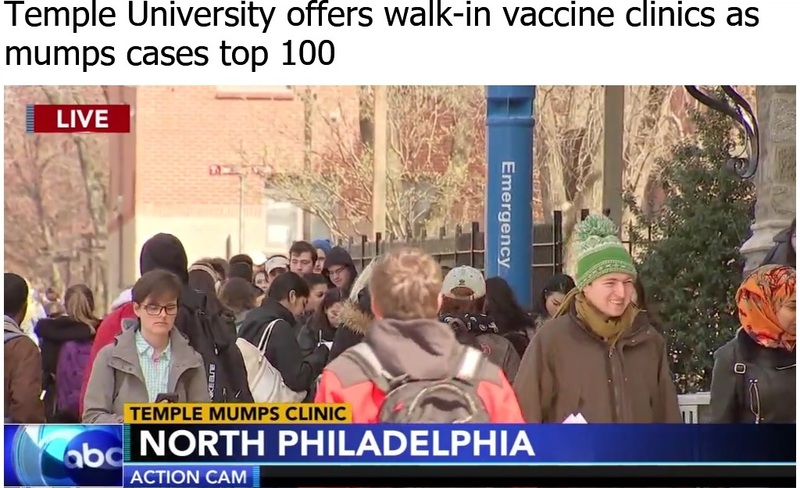 Since there seems to be mass vaccinating happening I wonder if there will be an increase in mumps like illness aka parotitis. The U.S.S. Fort McHenry has been quarantined at sea for more than two months due to an outbreak of mumps like illness parotitis according to several articles. One thing the articles mention is the crew had been given MMR boosters but hasn't disclosed when. So, it's been at sea for 2 months which means late January early February. There is a 28 day time span for viral infections to be shed and depending on the crews immune systems people could be shedding every few days which would keep the cycle of infection going for 2 months or more. I wonder will the MSM report on when the quarantine is over. That would say a lot. Why should anyone freak out about the mumps? I guess it's because of vaccine manufacturers' propaganda? How many days does it last? How many days is a child out of school? How painful is it? Does anyone die of the mumps (who does not have a compromised immune system)? Members of the public never hear about how minimal these childhood diseases are. Or about the lifelong immunity they bestow. I feel so pummeled by "fear campaigns" projected at us to which we are not supposed to respond with common sense. Avi Cohen tests positive for measles despite having 2 vaccines.